Be among the first to experience the power of cold at Durango Cryotherapy - the first and only Whole Body Cryotherapy facility in the Four Corners. Now conveniently offered right here at the Assertive Wellness Center of Durango. Cryotherapy is a cold therapy treatment that helps invoke the body's own natural response to healing. Completely cold, dry air runs over the surface of the skin invoking a natural healing process by re-oxygenating your blood. The body's natural response to exposure to very cold air is to draw blood into the core to protect vital organs. This natural movement of blood causes toxins to be filtered out, oxygen and enzymes filtered back in. 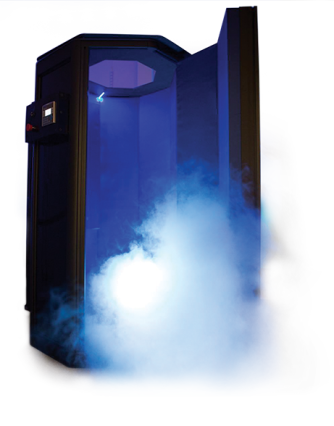 Whole body cryotherapy is very effective for overall enhancement of health and wellness.